Date of publication: January 27 2015 . Today we talk about the bookcases, in particular, we are interested Open Bookcase of wood. Open Bookcase give the room lightness. They can be used as a functional piece of furniture in the office, living room, children's room or even the hallway. Shelf bookcase can be used for storing books and toys for accommodation, photos, figurines and gifts. Our bookcase will be supplemented by a chest of drawers, ie built-in drawers, which can be used for extra storage. With the help of the bookcase is also possible to divide the space wisely. This cabinet will help us get rid of the use neergonomichnyh windows and shelves. The most popular bookcases for offices and children's rooms, where space is required to store books and documents that must be kept on hand. In open cabinets, however, there is one major drawback - they tend to accumulate large amounts of dust, but if you do not be lazy from time to time to do wet cleaning, then a wardrobe for you - just a godsend. 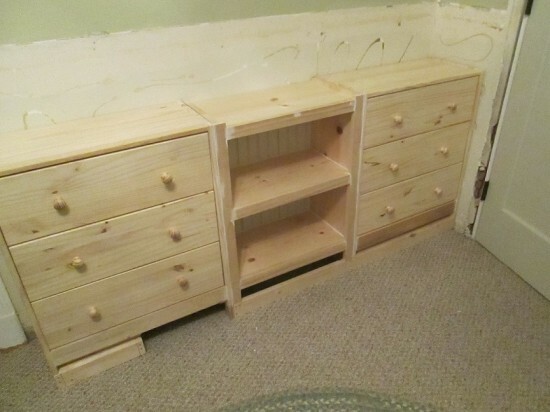 In our alteration will participate: two chest RAST with three drawers and a triple shelving BILLY. First make socket for our design and fix on it two chest. 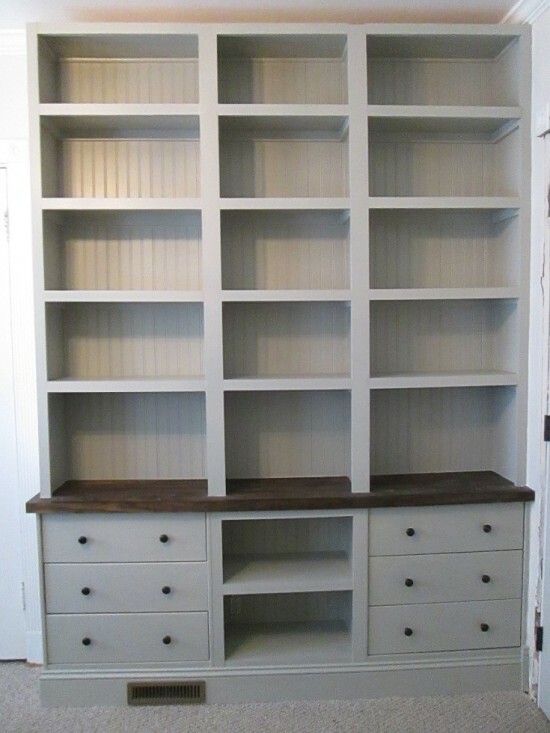 Then we will need to fill the space between them with two niches or shelves. All elements of the resulting structures must be securely fastened to each other, because is the foundation of the future of the bookcase. It will not hurt, and attach it to the wall using dowels, nails. Top drawers Lock "tabletop". It can be selected from the IKEA catalog or use a blank chipboard. The most difficult step is the installation modifications shelving BILLY. Perhaps there can not do without an assistant, because the rack rather cumbersome. The final touch - painting furniture design. In this remake of the air used paint white color purity. Only worktop emphasizes bookcase and as if divides it into two parts. Well, our bookcase ready, and you the strength to make your own? We will be especially happy if you share your tips and results!